Well, its that time in the year I’m reminiscing about to pay tribute to some of the one hit wonders from said year. While there are always a good number of them in any given year, there are only a handful worthy enough to make the blog. In 1980, there were three such acts. 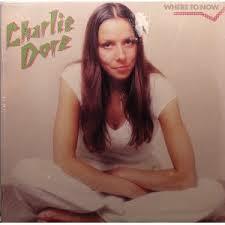 The first one and it’s in the literal sense in 1980 was Charlie Dore for her big single “Pilot of the Airways.” When I first heard it, I thought it was another one hit wonder group from the 70s, Prelude. I still love their a cappella version of Neil Young’s “After the Gold Rush.” However, after the a cappella intro, music kicks in so I ruled out Prelude as the artist of the song. Even though the sound is more country, I found myself liking the song. Charlie does have a unique voice that goes well with the song and I have to admit that back then, most songs with a guitar solo in them were worth the listen. Still, it’s a well done to Charlie Dore for this one. 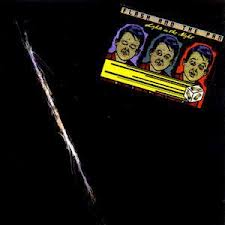 “Media Man” by Flash in the Pan was a brilliant new wave type song. It has one of those catchy choruses that sticks in your mind after the song is finished. I can hear myself singing “clap Hands For The Media Man.” The song seems to be a warning of the dangers of mass media but done to a very likeable new wave vibe. Before I get a lot of rebuttal responses, I did notice other songs by this band when I looked it up on YouTube. However, I know nothing of any other material but would be happy to be enlightened. Besides, this song did cross the ocean because later on in the year, I saw it on a juke box in a café in Barcelona Spain. 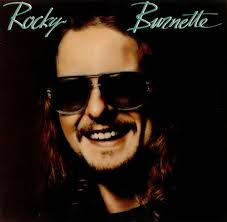 The first time I heard “Tired of Towing the Line” from Rocky Burnette, I thought it was Bruce Springsteen. The voice was similar and there was a saxophone in the song. Therefore, I was a bit surprised to hear that Rocky Burnette was the actual artist. Still it was this song that chipped away in the charts and always seemed to be on the radio every time I switched it on. In itself, it is a decent rock tune, so hats off to Rocky for this one. So there you have it, three songs from people who would only grace the charts once but made what is for me, songs that would linger in my brain more than three decades later. So let’s raise a toast to the three rock one hit wonders of 1980. Also available on Amazon, Barnes & Noble and Froogle and on sale at Foyles Book Shop in London.